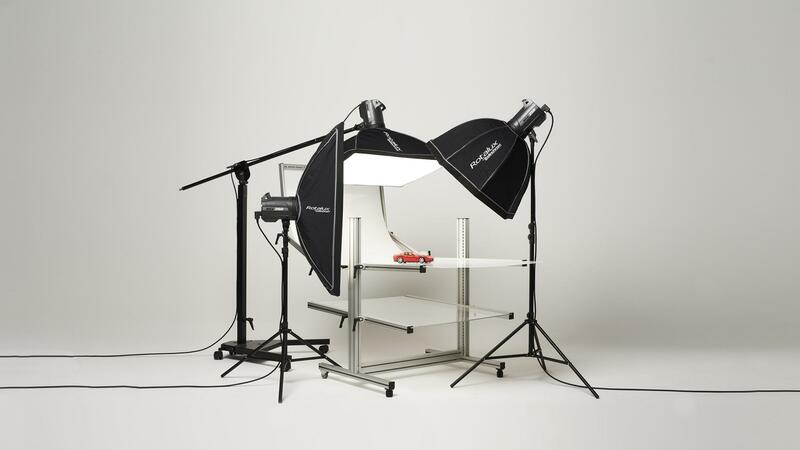 FotoFlits has a Rental Service for photostudio lighting equipment as well. Every (hobby) photographer makes it happen that the ambient light is not ideal or optimal or that the own equipment is inadequate! This creates the need for (extra) flash, light equipment or an extension of your studio technique for a photo shoot or assignment. In addition to selling equipment, renting is an option that FotoFlits offers you. FotoFlits.com rents out flash equipment and a variety of studio accessories for everyone and for every photo shoot. If you can not find the item you are looking for in our overview please call us, maybe we can arrange a good alternative for you. You can rent equipment per day, weekend or week! We guarantee the quality of our equipment. The equipment is regularly cleaned and checked. Our equipment is in excellent condition and is 100% reliable during your job.